Opening its doors was not the beginning of the story for Lawrence County’s organization for youth, first know as The Thornton Memorial Boy’s Club. After suffering from the “Great Depression” Lawrence County was plagued with a higher that the state average of juvenile delinquency. The American Legion Gillen Post #33, under the direction of Will Ingalls, took on the task of organizing a community effort to develop a solution. With the guidance of The Boys’ Clubs of America and funds donated by the community, the Thornton Memorial Boys Club began welcoming boys from Lawrence County through its doors at the first location on Lincoln Avenue in 1940. The building, originally the home of E.B. Thornton, was donated by his family with funds raised from the community to do the necessary refurbishment and alterations. Far surpassing the goal of attracting 250 members, 900 boys joined during the first year under the leadership of the first director, F.M. (Hank) Kline, a former staff member of The Boys’ Club of Boston. Kline and the first assistant director Gary Jackson, along with the following directors Horace Richardson, Robert Atwood, Bob Baugh, Bill Baker Joe Klumpp and Jim Jackson made the club a “home away from home” for the membership by offering athletics programs, fun activities, annual member events and a week-long summer camp along the banks of White River. With the help of sponsorships from Tindal’s Hardware, the Elks Club and Stone City F.O.P. the first Annual Awards Dinner was held in 1942 at the Greystone Hotel. The highlight of the event was the “Boy of the Year” recognition, first awarded to Bob Butterfield. The founding of the Mother’s Auxiliary was an important step in the success of The Club. First led by its’ president, Maxine Hurd, the Mother’s Auxiliary held chili suppers, sock-hops, other events and auctions that produced funds to purchase equipment and, even a time or two, bail the club out of tight financial spots. In addition to their ongoing financial assistance, the auxiliary made a major contribution to the fund for the new facility needed due to the aging of the existing site and the growth in membership. Through tireless efforts of Jim Guthrie The Club’s Board of Directors President, Rollie Tindal as Fund Drive Chairman, and Ray Snapp who wrote numerous articles raising awareness, money was raised over a five year period to complete the new facility located on the Northeast Corner of Thornton Park. It was reported to be the largest local undertaking ever for a single fund drive. With thousands of dollars in donated materials organized by Gene Kenworthy, volunteered labor by the community and donated legal work from Robert Short, the cost of the project was estimated to be more than $150,000 and was considered to be the finest facility in the country. On February 27, 1957 the new Boys’ Club was dedicated in memory of E.B. Thornton, whose family had made the original donation of the family home and continued their support through the years. John M. Gleason, National Director of Boys’ Club of America gave the opening address and Mayor Ivan Brinegar accepted the building on behalf of the city. The event featured a performance by the Bedford High School Band and was covered by the major area television stations. By June of 1964 growing attendance and program participation had overtaxed the new building. The Club President, Arch Voris Jr. worked with the board of directors to raise $30,000 for a proposed addition to include an all purpose room and extend the existing game room. The goal for the first phase of this expansion was reached by September 1964 and by spring of 1965 construction began by Cunningham Construction with volunteered assistance from board members Ed Charles, Frank Hardesty, Bob Lee, Keith Peterson, Farrell Robbins , George Troy, Arch Voris Jr., Jim Wilson and Darrell Zink. With construction costs exceeding the original estimate, good fortune smiled once again on the Boys’ Club through the influence of Maxine Hurd. Ms. Hurd had often spoke with Mrs. Lillian Melton Owen, who lived on Lincoln avenue close the original location of The Club, about the fine work being done for boys from the area. In her estate, Mr. Owen bequeathed $50,000 to The Club and in appreciation; the new addition was opened as a memorial to Ms. Owen. Six year later, in 1972, the game room expansion was completed under the leadership of The Club President Ron Watson. The additional 20’ gave The Club space for more activities and program options. Most of the cost of the project was covered from a bequest from Eugene B. Crowe, a charter board member and long time supporter of The Club. Membership soared through the years to more than 1400 boys. “Biddy” basketball, Babe Ruth baseball, “Pop Warner” football, soccer and Little League baseball were added to the athletics programs which became one of the finest Boys Club program in the state. A well organized “All Star” program took boys with special skills to cities and communities through the country, providing them with opportunities otherwise unavailable to the youth. With unwavering financial support from United Way of South Central Indiana, donations from community members, countless volunteers working tirelessly, leadership from the board of directors and selfless commitment from the tenures of the seven club directors, The Club produced many success stories. Alumni from The Club continue to return and participate throughout the year or have gone on to lives in other parts of the country, sharing the values they learned at The Thornton Memorial Boys Club.. 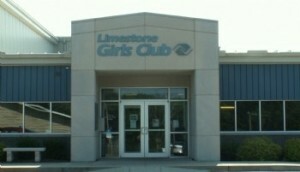 Formation of the Limestone Girls Club (LGC) began in August of 1971. The doors of the club opened on May 18th, 1972 at the former Warren Dean Jones Memorial building. A total of 232 young ladies were included on the original roster of members paying an annual membership fee of $2.00. The LGC was incorporated as a non-profit organization on June 22, 1972. The Club was founded by Director Shirley Wildman and had a Senior Board of 16 and a Junior Board. Original Board Members included: President; Keith Norman, Vice President; Ronald Bowersox, Secretary; Shirley Williams, Treasure; Sheila Brinegar. LGC was the first Girls Club in Indiana to have athletic teams and the first Girls Club in America to become a member of the National Boys and Girls Club of America organization. The athletic teams consisted of 10 basketball and 10 softball teams. Games were played at the old Parkview Junior High Gym and Edgewood Park. In 1994 a fundraising campaign was launched for a new building and in 2001 ground was broken at 2009 19th Street. The doors to the new facility officially opened in 2002 and during the same year Kellams Field Ball Diamond was dedicated honoring Doug Kellams for his donations and countless hours of support to the success of LGC. 2002 and 2003 were notable years for LGC. The High School Basketball Leagues was formed; the first Health Fair was hosted for the Annual Limestone Run; the first All-Nighter Softball Tournament for Senior League Fast Pitch was held; The Club was the host site for Guinness World Record Stop-Drop-Roll event; the first annual Running With the PAC was organized and Dr. Jim Sowders organized Kari’s Run across the state of Indiana in memory of former club member Kari Summer Fahr. The event prompted the dedication of Kari’s Gym in the facility. Later in 2003, Bailey Field was dedicated in honor of Loren and Alexa Bailey. In addition to the many events hosted, LGC also served as the Emergency Host Site for the Red Cross when the area experienced major flooding in January of 2003. Staff and volunteers came together to assist the community during a devastating time for the area. In 2012, the two clubs came together to create the Boys & Girls Club of Lawrence County. 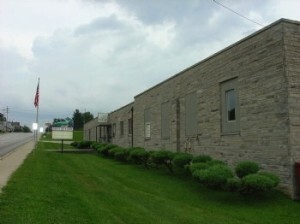 The Thorton Boys Club became the Teen Center, and the Limestone Girls Club became the after-school program headquarters. The future is incredibly exciting for the members of the Club and the residents of Lawrence County. We strive to always improve our programs and the quality of our members' lives.